Dr. Kelly Irving knew her husband, attorney Jack Harbaugh, was acting strangely, but figured they’d get through it. When she backed out of her garage that morning, she thought her car hit a bump. Instead, its progress was stopped by the body of a man her husband recently represented. Not only that, the dead man had been shot by her husband’s gun. The police who investigated made it clear that Jack was a primary suspect. Kelly couldn’t decide if Jack was a murderer or marked as the next victim. As things continued to escalate, they were forced to put their marital differences aside and concentrate on keeping Jack alive while discovering who was behind the whole thing. 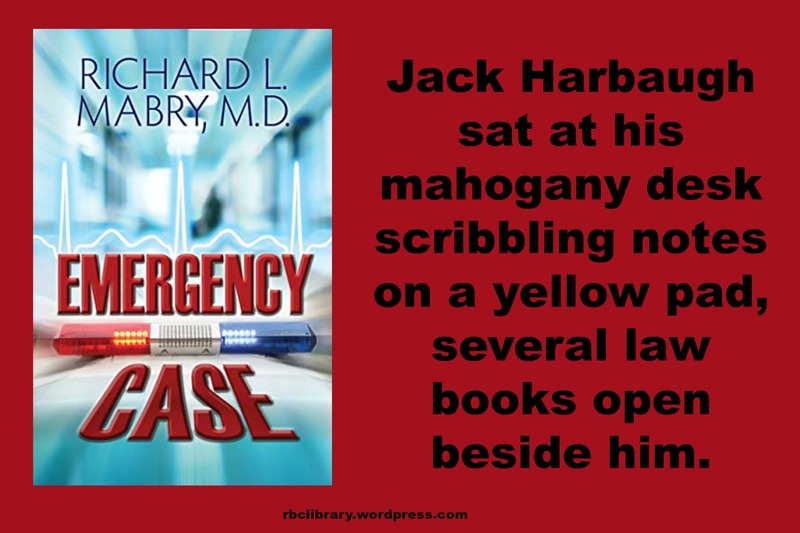 Dr. Richard Mabry is a retired physician, now writing “medical suspense with heart”. He is the author of ten published novels, three novellas, and a non-fiction book. 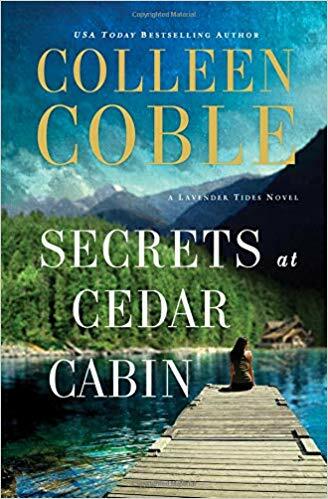 His novels have garnered critical acclaim and been finalists for ACFW’s Carol Award, both the Romantic Times’ Inspirational Book of the Year and Reviewer’s Choice Awards, the Inspirational Readers Choice, and the Selah Award. He is a proud member of the ACFW, the International Thriller Writers, the Christian Authors Network, the FHL chapter of the RWA, and Novelists Inc.
You can connect with Richard on the Internet at his blog page and Facebook fan page, as well as Twitter and Goodreads. 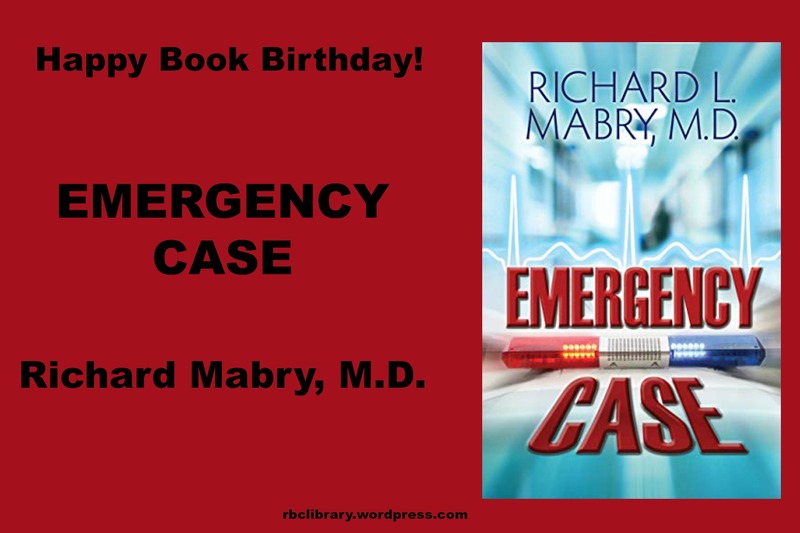 Emergency Case is the newest novella by Dr. Richard Mabry. 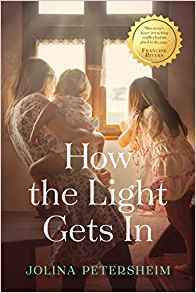 Mabry is known for his faith-filled, suspenseful books, and this one is no exception. But this time we get a husband and wife team with legal and medical perspectives trying to outwit the bad guys. I really liked the married couple, Kelly and Jack Harbaugh. Theirs is not a perfect marriage — their respective careers demand a lot from them. 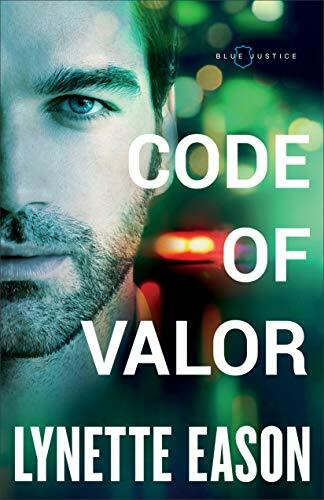 But they were committed to each other and making their relationship work, though things get a bit sidetracked as Jack is a suspect in the murder of his client and unknown assailants continue to attack. Emergency Case is a short and fast-paced read; you could finish this one in one sitting, but it doesn’t scrimp on the essentials — determined characters, a puzzling mystery, and thoughtful questions of faith and ethics. It’s a winner! And a recommended read from me. Happy Friday! I am featuring one of my favorite author’s today — Richard Mabry, M.D. Dr. Mabry writes medical suspense fiction with heart! His newest novella, Emergency Case, released earlier this week and is currently FREE for Kindle Unlimited or just 99 cents on Kindle. Woo hoo! I can’t wait to dig into this book later this month. 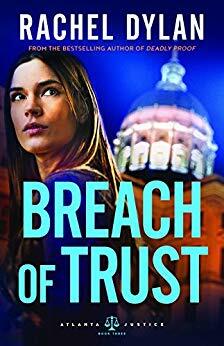 If you like fast-paced suspense, I recommend any of Dr. Mabry’s books. How about you? 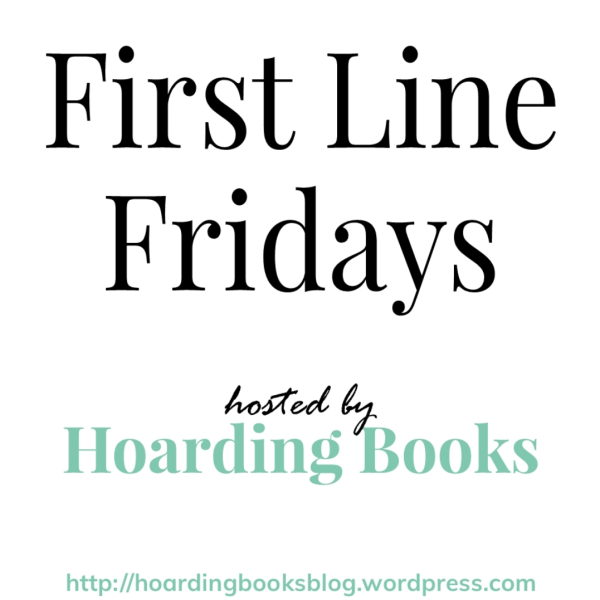 Do you have a first line to share? Leave a comment, then head over to Hoarding Books for more fabulous first lines. Happy release day to Richard Mabry, M.D. with his newest novella, Emergency Case. It is currently FREE for Kindle Unlimited or just 99 cents on Kindle. Make sure you check it out! 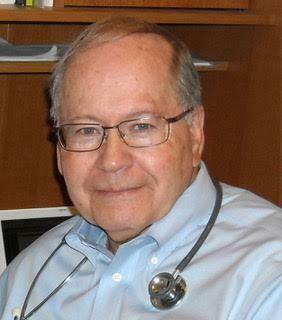 Dr. Richard Mabry is a retired physician, now writing “medical suspense with heart.” His previously published novels have garnered critical acclaim and been recognized by programs including the ACFW’s Carol Award, the Romantic Times’ Inspirational Book of the Year and its Reviewers’ Choice Award, the Inspirational Readers’ Choice, and the Selah Award. Guarded Prognosis is his twelfth published novel. 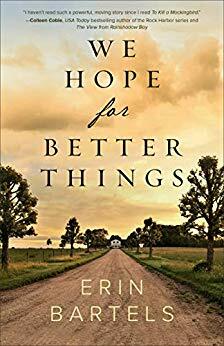 There are many reasons why I love reading Christian Fiction, but perhaps number 1 is how God can speak to me through an author’s story. That’s just what happened while I was reading Guarded Prognosis by Richard Mabry, M.D. What a blessing this book was to me and what an action-packed suspense novel too! “So. I’m just supposed to relax, and God will take care of everything?” Caden asked. I really needed to be reminded of that. Still do. Guarded Prognosis was a wonderful read — meaningful and entertaining — the perfect mix! It gets a recommended rating from me. I am pleased to welcome Richard L. Mabry, M.D. to the blog today. 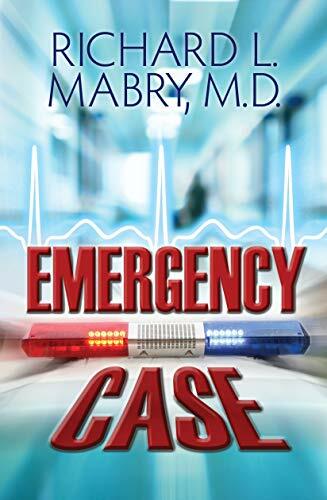 Dr. Mabry is my go-to author for medical suspense. His latest book, Guarded Prognosis, just released a few days ago. Make sure to check it out (it is FREE for those of you with Kindle Unlimited!). Thanks Dr. Mabry for sharing with my readers today. How many times have we seen something, either in real life or fiction, that causes us to say, “How could they not have seen that coming?” At times this occurs in books, TV, or the movies in order to advance the plot. When that happens, it requires a bit of “suspension of disbelief” but we accept that as necessary. On the other hand, in real life wouldn’t the individual involved have seen what’s going to happen? Not necessarily. Why? Because there are times and circumstances when we’re subject to a common failing — we tend to go ahead with “what always works,” blind to our faults in the matter. Unfortunately, none of us — including authors — are immune to this problem. Writers who have been involved in critiquing manuscripts submitted at conferences and contests are familiar with novels that fail to meet standards. 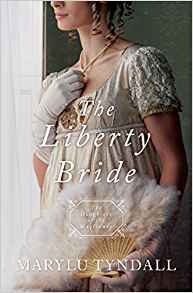 Almost without exception, these have gained glowing praises from the author’s friends and family, but that is unfortunately often based more on the amazement that “So-and-so wrote a novel” than on the merits of the book. None of us likes for someone to critique our work, but in my view constructive criticism from someone who’s familiar with the basics of writing is much more valuable than praise based on personality. Let me give an example from my own writing. I don’t participate in a structured critique group. It’s not that I don’t recognize their worth, but for my personality and method of writing it works better for me to depend on the opinion of my first reader —my wife. I have described her before as both my biggest supporter and most severe critic, and I have learned to listen to what she says. Thus far, our marriage has survived. I showed her a completed copy of my most recent novel, and after reading fewer than a dozen pages she informed me that it didn’t really capture her interest. Then she made some suggestions that would improve the novel but require lots of work on my part. 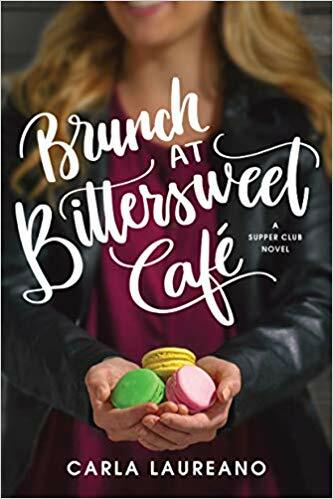 After pouting for a few days (chocolate may have been involved in my recovery process), I sat down and began to completely rewrite the novel, taking into account her suggestions. 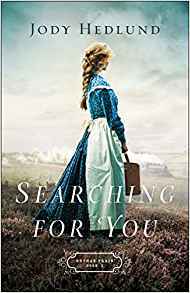 Apparently, what she recommended worked, and I’ve received numerous compliments on the revised novel from authors and informed readers. This has happened more than once with me. Why? Because, like many other authors, I was blind to my faults. I thought I could skate through by just throwing words onto the page. I wanted to rest on my laurels. Guarded Prognosis is my twelfth published novel. Along with my non-fiction book that got all this started —The Tender Scar — and four novellas, that’s seventeen books (in addition to eight medical texts) that bear my name. When I tried to put this novel together, I’d frankly grown complacent. I was like a professional athlete who felt that he can win simply by showing up. But most of us are familiar with the maxim that any team can beat any other on any given day. The same applies to authors. We’re only as good as our current book, and the only way we can be certain it’s the best we can do is through evaluation by others who are knowledgeable in the field. Whether it’s writing, teaching, managing a company, repairing an air conditioner, or any one of a thousand other occupations, we have to do one thing to reach and stay at the top of our profession. We have to constantly improve ourselves and our work product. We’ve never “arrived.” The day we think we have reached that point is the day when the consumer will let us know we haven’t. Have you suffered the consequences of being blind to your own faults? Did you find yourself resting on past accomplishments? How did you correct that (assuming you did)? What have you done lately to continue improving? Happy Friday everyone! I am featuring on of my favorite authors today — Richard Mabry, M.D. 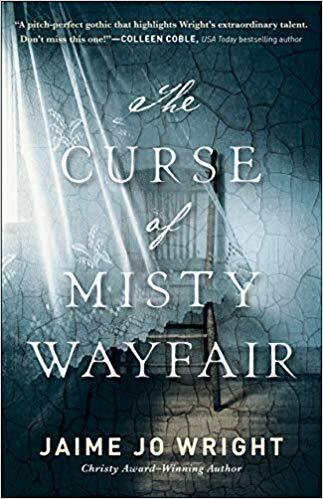 Dr. Mabry writes medical suspense that not only keeps his characters and his readers on their toes, but delivers a thought-provoking reading experience as well. Check out the first line of his newest novel, Guarded Prognosis. 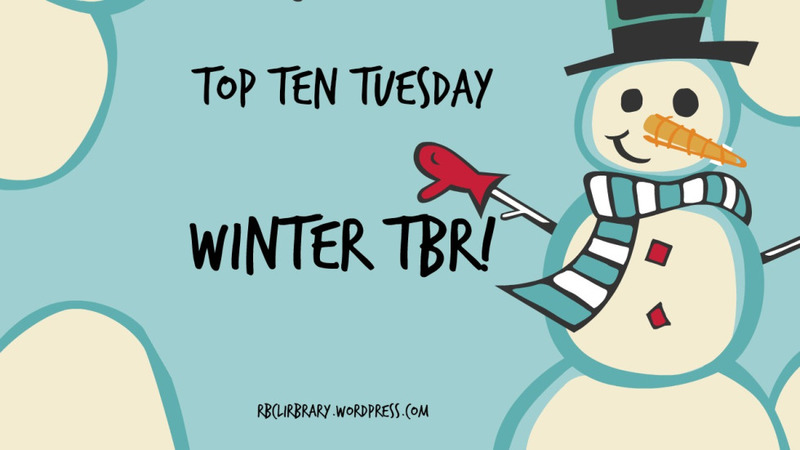 Leave me a comment with the first line of the book nearest to you, then head over to Hoarding Books to discover more fabulous first lines.